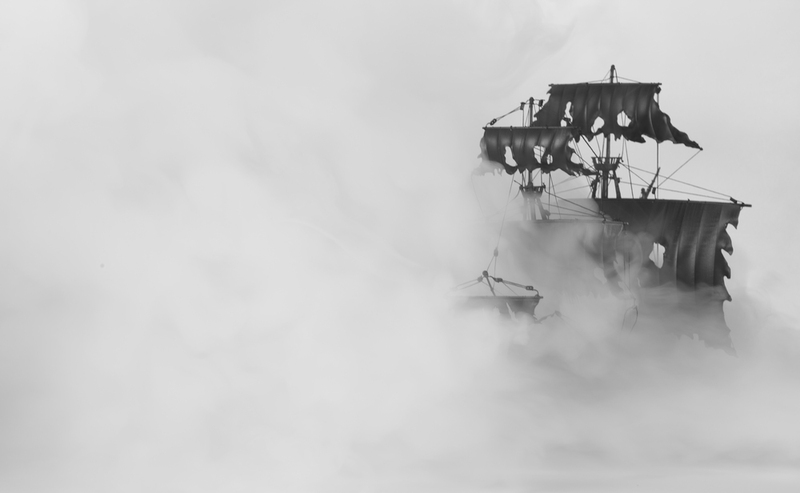 I had this idea of a picture of a pirate ship coming out of the fog, the following is a small picture documentary about what I did to realize the imagination. 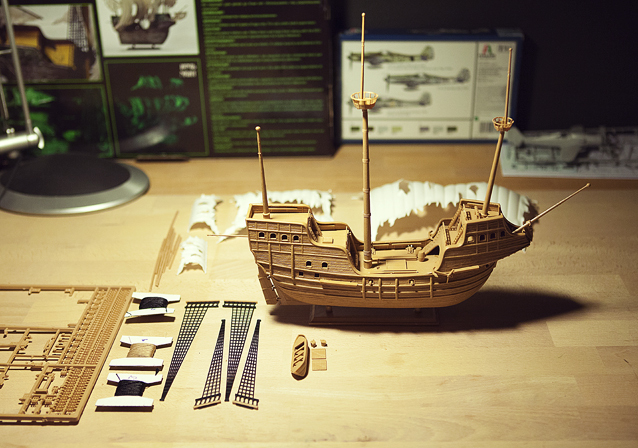 First I started looking for a ship I could use and decided this was the right one, I fell in love with the torn sail and also the size was just right, so I returned home with my new purchase. This smoke cannon works by it's heat up a liquid and blow it out, but the problem with that is that the smoke then immediately rises up to the ceiling, If you instead cools the smoke it falls and remains on the surface, so I needed to build a smoke cooler, the following is a picture of my cooler contraption. How does my "contraption" works: you get water in the outer tube, and put it into the freezer until it is frozen, and then you blow the smoke through the inner tube.